An unique video player indeed. 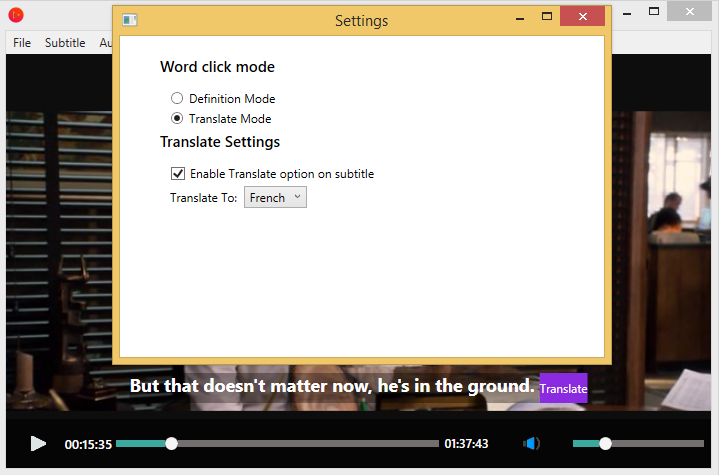 Mideo media player is designed to help you get the meaning of a word in the subtitle by displaying a pop-up windows with the definition of the word you clicked. If the word has more than one meaning, Mideo will show various definitions of the same just like using a dictionary, except that you wont have to switch applications. 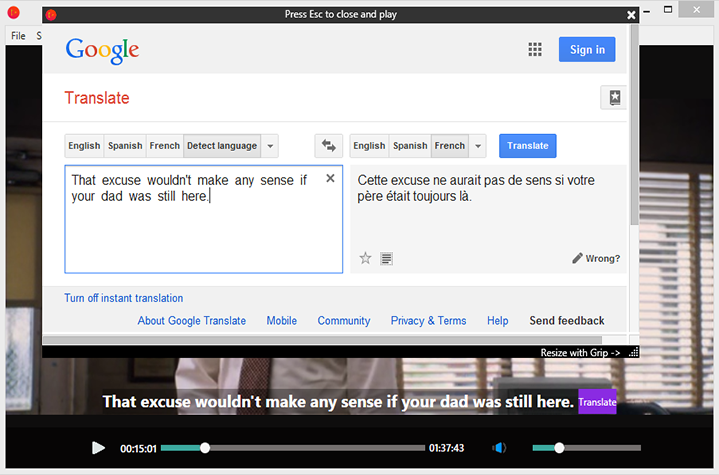 You can now translate a line or a word. 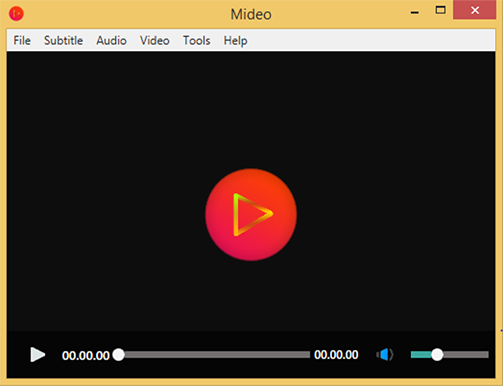 This Video Player support for almost all video files such as:MPG, MOV, ASF, MKV, AVI, MP4, M4V, WMV, FLV, MPEG, 3GP, WM in Windows 10. Low memory consumption, simple operation, quick start, smooth playback support. Mideo is now available in. Trust them. They ain't lying. 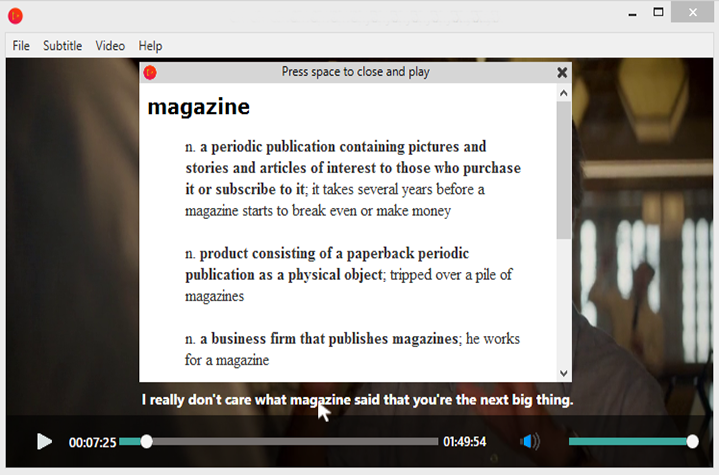 Medio lets you play subtitles with one special offering to look up what a word in the subtitles means. What are you waiting for? Send me a message.